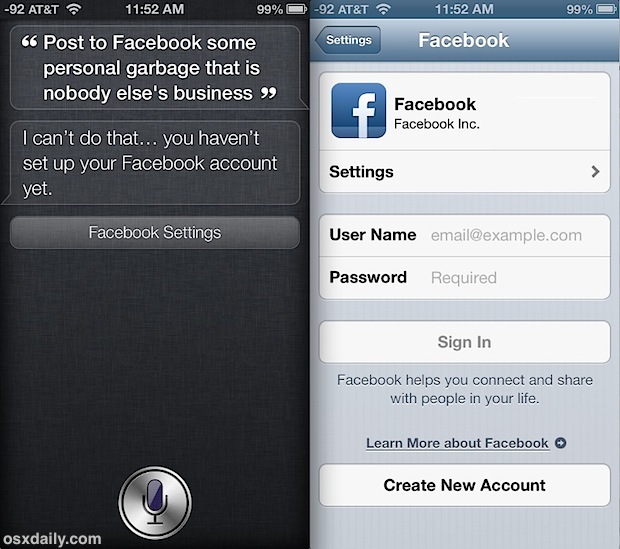 You can post status updates and tweets to Facebook and Twitter by using nothing more than Siri. Why this may seem like a mere novelty at first, it’s actually extremely useful for situations where you’re occupied or can’t fiddle much with an iPhone, like when driving or running. Because you can summon Siri from the ear phones that come with all iOS devices, this lets you post to your social accounts hands free. Before being able to post status updates to either social service, you’ll have to add or configure the appropriate accounts to iOS first. 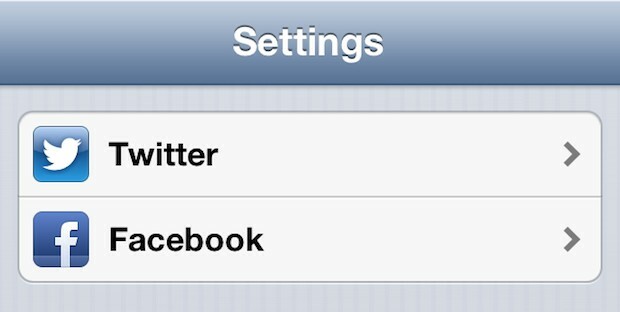 Once this is done, you’ll have access to Twitter and Facebook from Siri, and also from Notification Center. Once you have the accounts configured, posting messages and sending tweets to either service is simple. Siri will dictate the message and display it back to you, so you can be sure everything is correct, then ask if you want to post. Just responding “OK” is enough, or you can tap on the “Send” button. Do note that if you have multiple Twitter accounts added and enabled within iOS settings, Siri will default to whichever Twitter account is currently set as active in the official Twitter app. 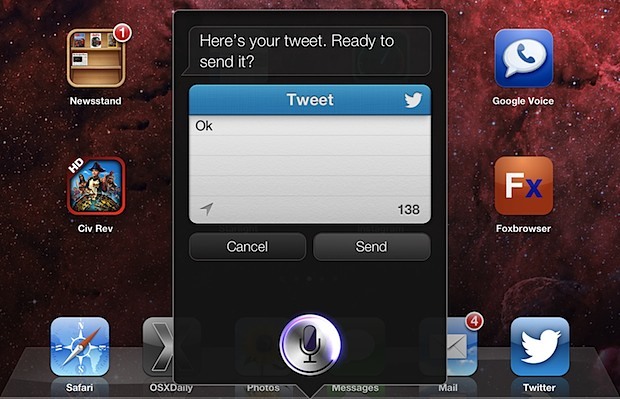 Siri will ask if you are ready to post the message, showing it to you beforehand. In either case, Siri will provide a button to launch directly into the appropriate settings where you can either add an account or adjust login information as necessary. Want some more ideas? You’ll find similar social example commands and many more in the enormous list of Siri commands that you can retrieve directly from Siri. If you find that giant list overwhelming and would rather have some more concrete example of how Siri can make your life easier, don’t miss this list of genuinely useful things it can do. I should note that Siri seems to default to posting to Facebook publically, which may not be what you want. I’m not sure if it’s possible to change this? OF COURSE Facebook would default to publish everything to the public, I wouldn’t expect anything less from them. Where are the O$x stories? This site is more about the crummy iO$ than anything anymore. If you do use the earbuds to do it hands free, you still have to pull the phone out of your pocket to read the message that Siri displays to check that it got it correctly. So you might as well just pull the phone out and type it. When i use siri…. it ask for enter your facebook password … again and again…. and siri dont open facebook …. why??? ?